Today the Prime Minister will head to Brussels in an effort to get EU leaders to grant her a delay to Brexit. Her trip follows her statement last night, in which she blamed MPs for failing to implement the result of the 2016 referendum, telling voters that "I am on your side". Addressing the media from Number 10, she said: "Two years on, MPs have been unable to agree on a way to implement the UK's withdrawal. "This delay is a matter of great personal regret for me." She continued: "You're tired of the infighting, you're tired of the political games and the arcane procedural rows, tired of MPs talking about nothing else but Brexit when you have real concerns about our children's schools, our National Health Service, knife crime." The speech has sparked backlash among MPs, with one Consevative minister describing her words a "low blow" by one Conservative minister. Jeremy Corbyn will also be travelling to Brussels today to hold talks with EU Brexit negotiator Michel Barnier. The Labour leader also came under fire last night for pulling out of a meeting with Mrs May and opposition party leaders, because members of the Independent Group turned up. 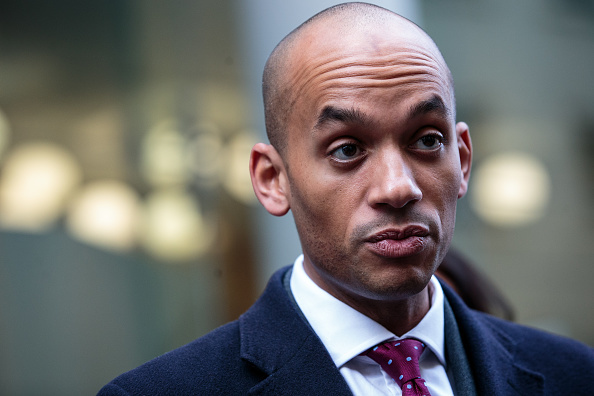 Chuka Umunna , who defected from the Labour Party to join the Independent Group branded his behaviour "juvenile". There are just eight days to go before the UK is due to leave the EU, and the PM will be making the case of extending the Article 50 withdrawal process with the EU 27. Ahead of the meeting, European Council president Donald Tusk said a "short" delay should be possible - but only if MPs finally back the PM's deal before the deadline day on March 29.